Photos of rapper Jay-Z through the years. Jay-Z performs at the Meadows Music & Arts Festival at Citi Field in New York on on Sept.15, 2017. Jay-Z performs on the "4:44" tour at Barclays Center in New York on Nov. 26, 2017. 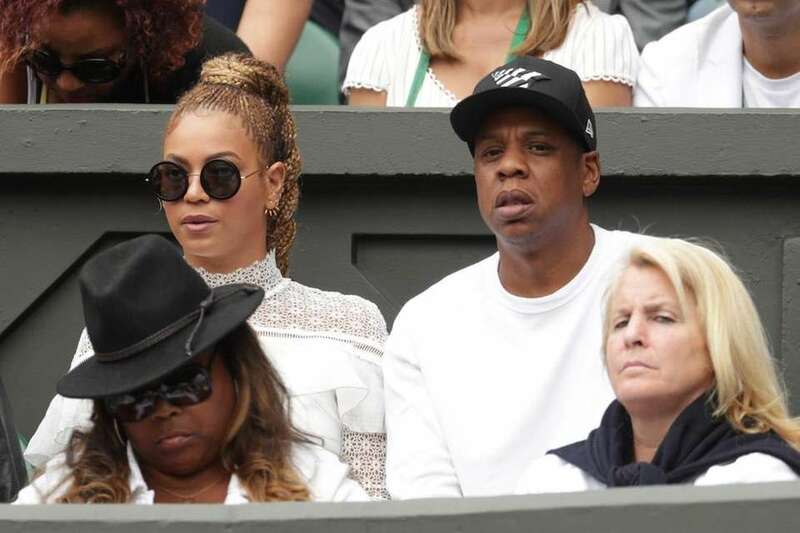 Jay Z and Beyonce watch as Serena Williams of the United States and Angelique Kerber of Germany play in the Ladies Singles Final match on day 12 of the Wimbledon Lawn Tennis Championships at the All England Lawn Tennis and Croquet Club on July 9, 2016, in London, England. 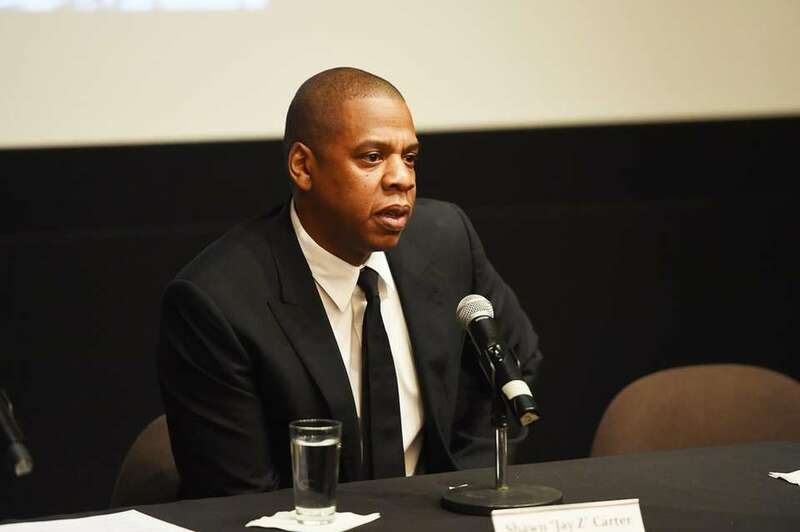 Rapper Jay Z participates in a panel discussion during Shawn "Jay Z" Carter, the Weinstein Company and Spike TV's announcement of a documentary event series on Kalief Browder on Oct. 6, 2016, in Manhattan. Rapper and entertainment mogul Jay Z performs at the Nassau Coliseum in Uniondale during his Magna Carter World Tour on Jan. 19, 2014. 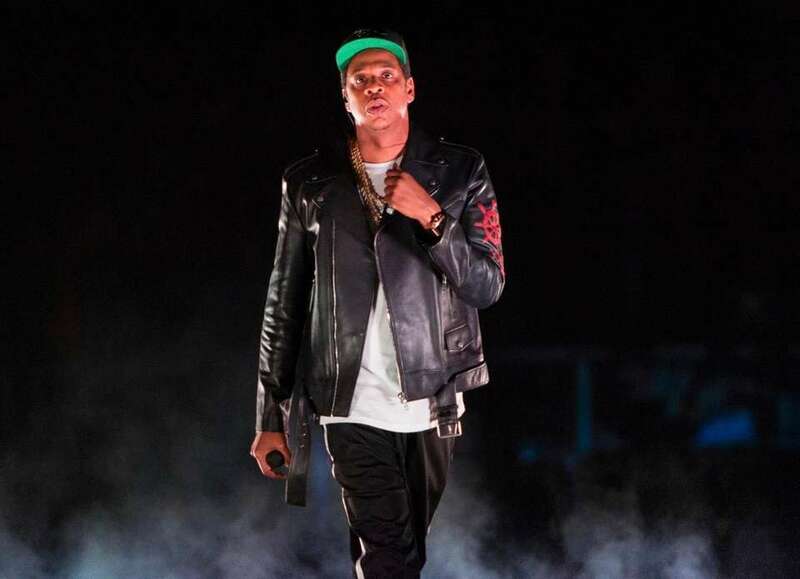 Jay Z performs at the Wireless Festival at the Queen Elizabeth Olympic Park in London on July 13, 2013. 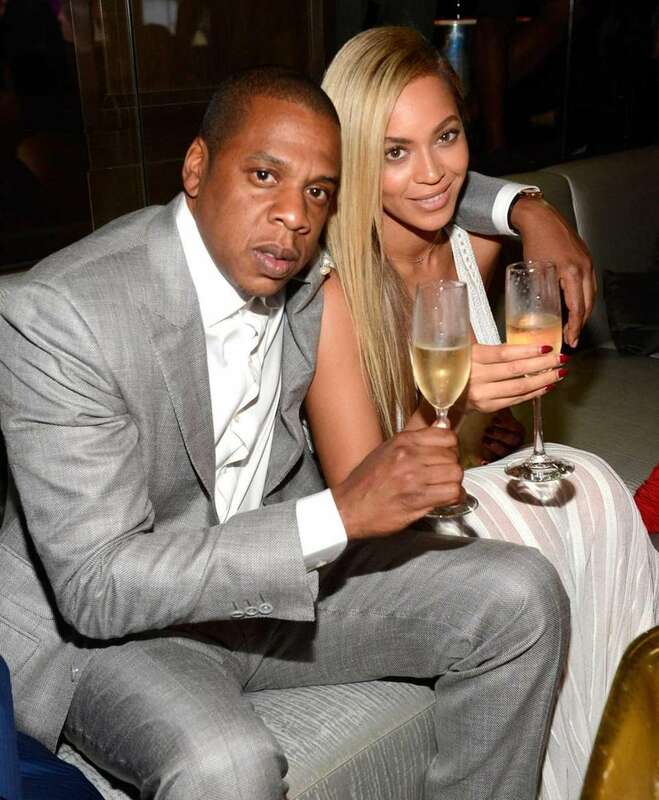 Jay Z and Beyonce attend The 40/40 Club 10 Year Anniversary Party at 40/40 Club in Manhattan on June 17, 2013. 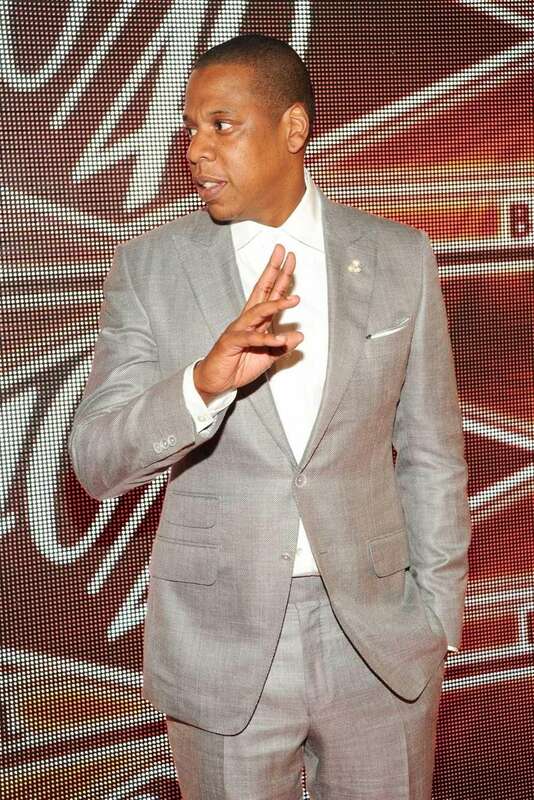 Jay Z attends The 40/40 Club 10 Year Anniversary Party at 40 /40 Club in Manhattan on June 17, 2013. 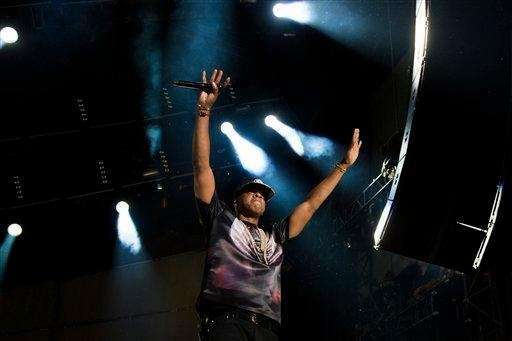 Jay Z performs at the Made In America music festival in Philadelphia on Sept. 1, 2012. Rapper Jay Z holds his daughter, Blue Ivy, with singer-wife Beyonce Knowles, in January 2012. Shawn "Jay Z" Carter attends a press event in Manhattan to announce his Carnegie Hall performances to benefit the United Way and the Shawn Carter Scholarship Foundation on Dec. 8, 2011. 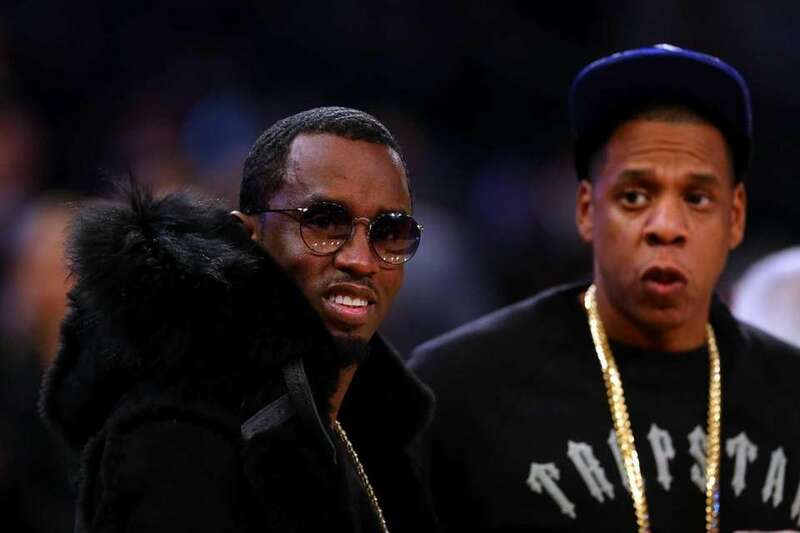 Jay Z watches the men's championship match between Rafael Nadal of Spain and Novak Djokovic on Sept. 12, 2011. Jay Z performs during the iHeartRadio music festival in Las Vegas on Sept. 23, 2011. Shawn "Jay Z" Carter attends a news event to announce his Carnegie Hall performances to benefit the United Way and the Shawn Carter Scholarship Foundation, in Manhattan on Dec. 8, 2011. Rapper Jay Z and singer Beyonce Knowles sit in the audience during the 2011 NBA All-Star Game on Feb. 20, 2011. Recording artists and parents-to-be Jay Z and Beyonce watch Rafael Nadal of Spain and Novak Djokovic of Serbia play during the men's final on day 15 of the 2011 U.S. Open at the USTA Billie Jean King National Tennis Center in Flushing on Sept. 12, 2011. Nets part-owner Jay Z strolls down a closed-off street with the still under-construction Barclays Center behind him, on Sept. 26, 2011. 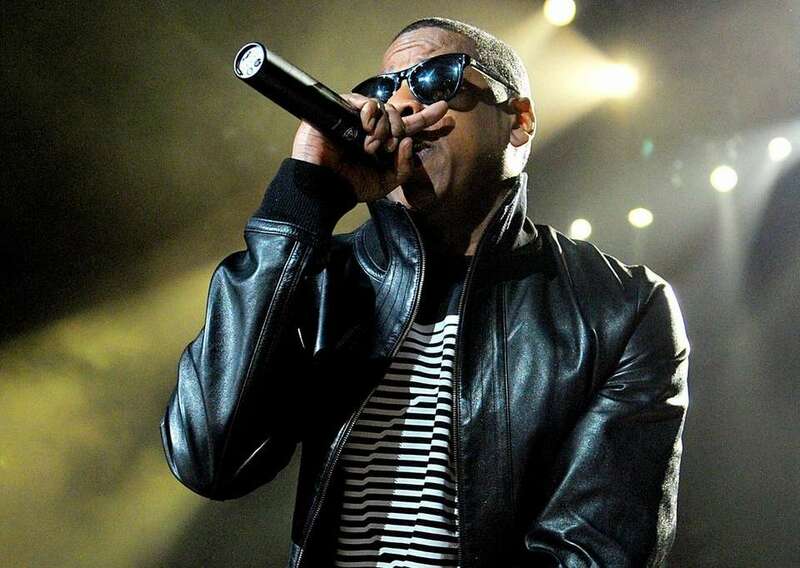 Brooklyn-born Jay Z performs at the Nassau Coliseum on March 12, 2010. Rapper Jay Z signs copies of his book "Decoded" at Barnes & Noble on Fifth Avenue in Manhattan on Nov. 17, 2010. 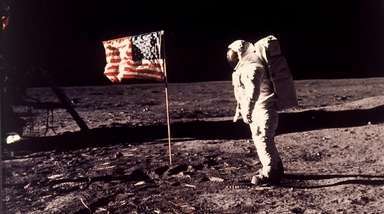 Kanye West, left, and Jay Z perform during a concert at Yankee Stadium on Sept. 13, 2010. 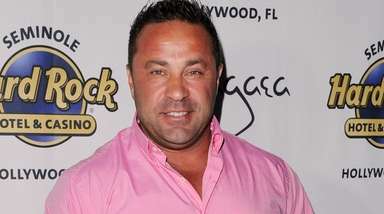 Kanye West, right, makes a guest appearance as Jay Z performs during a concert at Yankee Stadium on Sept. 13, 2010. Jay Z attends Game Four of the American League Championship Series between the New York Yankees and the Texas Rangers at Yankee Stadium on Oct. 19, 2010. Jay Z accepts the rap/hip-hop favorite male artist award at the 2009 American Music Awards at Nokia Theatre in Los Angeles on Nov. 22, 2009. Jay Z performs at the 2009 American Music Awards on Nov. 22, 2009. Rapper Jay Z performs onstage during his Blueprint 3 Tour at UCLA's Pauley Pavilion on Nov. 8, 2009. Jay Z performs during his Blueprint 3 Tour at UCLA's Pauley Pavilion on Nov. 8, 2009. Jay Z attends a press conference announcing the launch of DJ Hero at the Plaza Hotel in Manhattan on Oct. 26, 2009. Jay Z performs with Alicia Keys during the MTV Video Music Awards in Manhattan on Sept. 13, 2009. Actress Kate Hudson and rapper Jay Z look on from the stands before Game One of the ALDS between the Minnesota Twins and the New York Yankees during the 2009 MLB Playoffs at Yankee Stadium on Oct. 7, 2009, in the Bronx. Rapper Jay Z attends the 2009 MTV Video Music Awards afterparty at the 40/40 Club on Sept. 13, 2009, in Manhattan. Rapper Shawn "Jay Z" Carter performs at the "Answer The Call" concert at Madison Square Garden benefitting the New York Police and Fire Widows' and Children's Benefit Fund, Friday, Sept. 11, 2009, in Manhattan. Shawn "Jay Z" Carter performs during the "Answer The Call" concert at Madison Square Garden in Manhattan, Friday, Sept. 11, 2009. Jay Z performs during "Answer The Call" Sept. 11 benefit at Madison Square Garden on Sept. 11, 2009, in Manhattan. Jay Z performs during his Blueprint 3 Tour at Pauley Pavilion in Los Angeles on Nov. 8, 2009. Jay Z performs during the Heart of the City tour concert at the Nassau Veterans Memorial Coliseum in Uniondale on March 27, 2008. NYC Mayor Bloomberg and Nets part-owner and rapper Jay Z pose for photos after a ceremony at the Brooklyn Museum of Art to announce a partnership with Barclays, a global financial services company, and the Nets that will include 20-year naming rights for the upcoming Nets arena to be built at the Atlantic Yard in Brooklyn, on Thursday, Jan. 18, 2007. 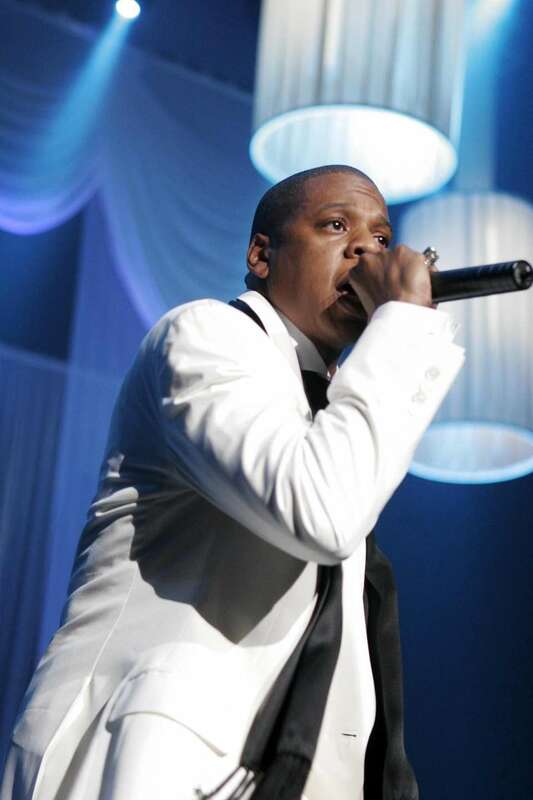 Rapper Jay Z performs at New York's Radio City Music Hall commemorating the release of his landmark debut album, "Reasonable Doubt," 10 years to the day after the albums' release on June 25, 2006. Jay Z, president & CEO of Def Jam Records, attends a party for the release of his newest album "Kingdom Come," hosted by GQ and Rocawear at Area on Nov. 21, 2006, in Los Angeles. Jay Z performs at Continental Arena in New Jersey on Thursday, Oct. 27, 2005. 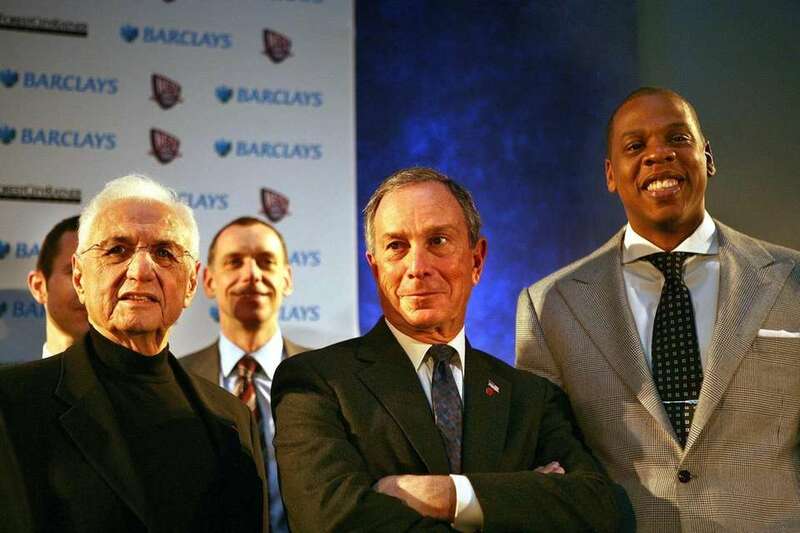 Rap artist Jay Z joined architect Frank Gehry, along with Bruce Ratner, Mayor Michael Bloomberg and Brooklyn Borough President Marty Markowitz to unveil the vision for a basketball arena and mixed-use complex in downtown Brooklyn, on Wednesday, Dec. 10, 2003. 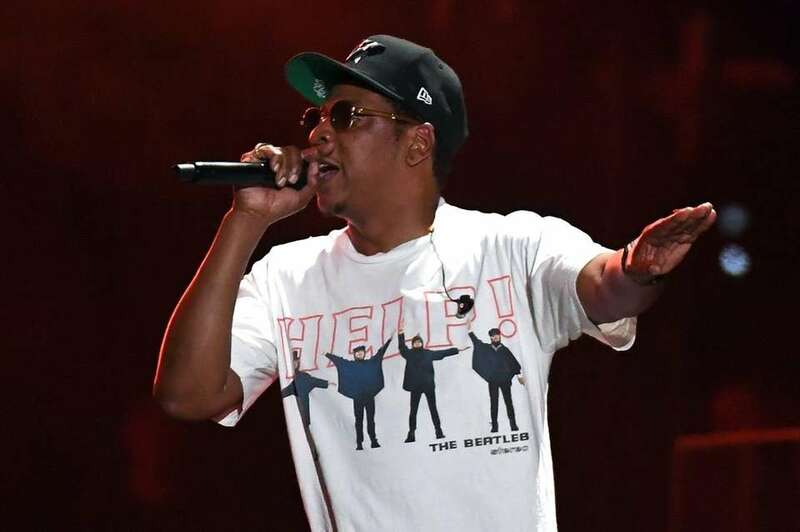 On Sept. 24, 2003, rapper Jay Z announced his upcoming performance on Nov. 25 at Madison Square Garden to benefit the Hip-Hop Summit Action Network. Beyoncé through the yearsConcert, red carpet and movie photos of singer Beyoncé. 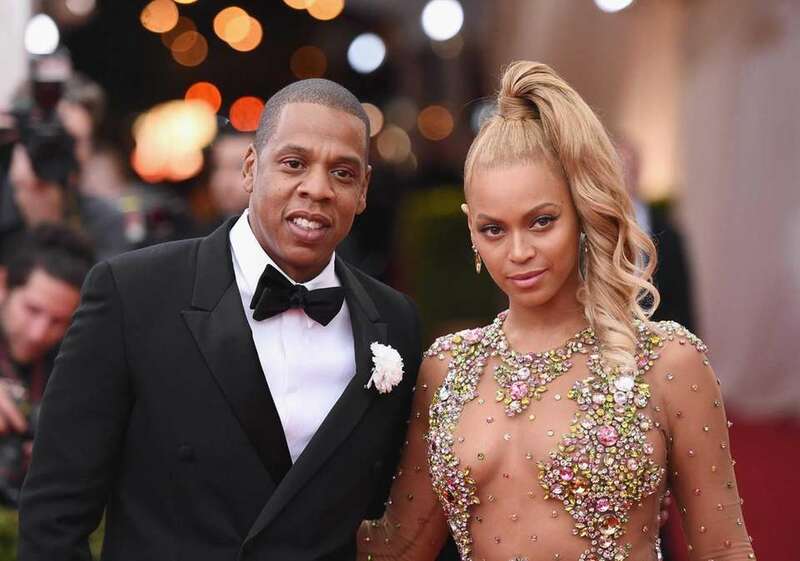 Beyoncé & Jay-ZSee photos of superstar couple Beyoncé and Jay-Z through the years. 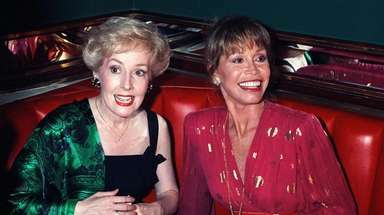 See more celebrity photosMore than 100 celebs to choose from, sorted by first name.